The story of the Winchester Mystery House (WMH) is not only a local San José legend and myth that we all grew up telling to each other, but it has become a national fascination inspiring multiple books on Sarah Winchester herself (Ignoffo; Rambo; Rule) and her fascinating home (Selby). As an Assistant Professor at the University of Nevada, Reno, I have a tendency to shift into the academic, such as when I use citations or connect myth to theory or culture. For example, did you know the Winchester Mystery House has received several honorable mentions in documentaries on haunted houses, such as the DVD-only film Winchester Explored: Secrets of the Mansion or A&E’s America’s Castles - California Dreamers: The Winchester Mystery House and Scotty’s Castle? Given the prominence of this folktale in San José and at the national level, the narratives surrounding this very real person and very real place becomes a valuable prism for exploring how gender is regulated and how race is psychologically dealt with in American society. Reader, in this short piece, I want to testify as a native of San José that this story is important because it is a tale that simultaneously upholds onto yet warns against the excesses of a capitalist system not only in the past but in the present United States. Although a specific snapshot of a time and place in history, the continued re-telling of this story with its legends and myths is a ripe opportunity to explore the cultural implications and the inherent power struggles within the narrative of Sarah Winchester and the Winchester Mystery House to offer an understanding of U.S. American culture as haunted by patriarchy, white guilt, and greed. For those who do not know, the official story offered by the WMH website begins on the eastern coast of the United States in the late 18th century and migrates to the west coast, specifically San Jose, CA. In 1862, Sarah Lockwood Pardee marries William Wirt Winchester, son of the manufacturer of the famous Winchester repeating rifle; however, shortly after their marriage, Annie, the couple’s only child, dies from a mysterious childhood disease. Nearly 15 years later, William dies of tuberculosis compounding Sarah’s decades-long depression from the loss of her daughter. At this point, Sarah becomes the heiress to the Winchester fortune (her father-in-law had mysteriously passed away earlier), and under extreme stress, she seeks the guidance of a psychic in Boston that tells her that her family and money are cursed by those who died from the Winchester rifle—and she is next. The psychic instructs her to move out West and build a house for the spirits, and if she continues constructing the house, then her life will not be in danger. In 1884, Sarah Winchester purchased a small farm house, which over the next 38 years would become a 160-room mansion sitting on a 161-acre estate with sprawling orchards of apricots, plums, and walnuts (Selby). The house that Mrs. Winchester built is now an attraction that brings tourists from around the world to view the beautiful but strange, labyrinth-like home. reputation (Winchester Mystery House). Other stories were about Sarah Winchester practicing witchcraft. It was said that every night she would go to a secret room in the center of her house to commune with the spirits to receive guidance on how to construct her mansion (Winchester Mystery House). An interesting and hair-raising part of the legend was that she was said to always wear a black veil, and if you saw her face, then there would be dire consequences. In fact, I heard that she would have dinner parties with the spirits of the house, and at night, neighbors said they could hear organ music that she supposedly played to entertain her spirit guests (Winchester Mystery House). Additionally, a bell would toll at midnight and 2 a. m. to mark the arrival and departure of the spirits, and it was said that “Mrs. Winchester never slept in the same bedroom two nights in a row, in order to confuse any evil spirits that might be waiting for her” (WHM). These stories depicted Sarah Winchester as eccentric, crazed, or an evil witch, but there were also stories about the house itself. As already discussed, Mrs. Winchester’s house was under constant construction for nearly 38 years because it was a space where those whom had died from the Winchester rifle haunted. There were good and evil spirits in the house, and in order to make the good ones comfortable and to avoid the punishment of the bad ones, the house was luxuriously and decadently decorated. Specifically, there are handcrafted staircases that lead to ceilings, doors that open to nowhere, doors that open to a 15-foot drop into the garden, and the number 13 is symbolic throughout the house (e.g., hooks, bathrooms, chandelier lights, etc) (Selby). During a Halloween flashlight tour, I remember following the tour guide through the house, and after fifteen minutes, I realized that if left behind on accident I would not be able to find my way back. In fact, my family was consistently the last to leave each room, and I remember being terrified to turn around and face the endless darkness of the house. There were other architectural oddities in the house besides hidden rooms and miles of twisting hallways. My favorite was the “Switchback Staircase,” which was a strange criss-crossing path of “seven flights with forty four steps” that rise “only about nine feet” and “each step is just two inches high” (Winchester Mystery House). Although creepy and sprawling, the house was nonetheless a beautiful Victorian renovated by the city to its prior glory, but as I toured the home that Halloween night, I could feel the haunting presence of something not quite right. What was that feeling I felt in the darkness? What was that whisper I heard in the silence? The stories about Sarah Winchester were fed to the local Santa Clara Valley community through her employees and her multitudes of past employees because she was said to have been a strict boss that demanded the utmost respect and loyalty. There is a story that when she was hiring a gardener she had narrowed the field to three applicants and told them to plant some cabbage in her garden upside down: (1) the first gardener did it without questioning her, (2) the second refused to plant the cabbage the way she had instructed, and (3) the final gardener told her that he would plant it the way she wanted, but if she wanted the cabbage to grow, then she might ask him to plant it with the roots in the ground (Winchester Mystery House). She hired the third gardener because he was unafraid to speak up but knew who was in charge (Winchester Mystery House). In this story, it is clear that Sarah Winchester was a strong, independent-thinker in a time when women were not supposed to express their own agency to resist a patriarchal (male-dominated) society. 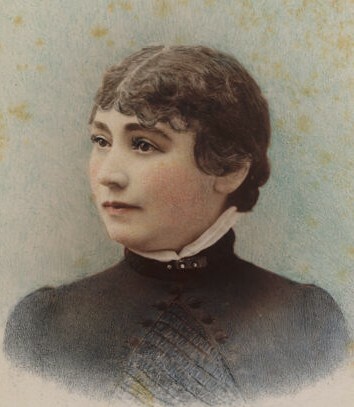 Sarah L. Pardee was born in 1840 in New Haven, Connecticut to a carriage manufacturer and was known as the “Belle of New Haven” (Winchester Mystery House). She enjoyed an education at some of the best private schools, spoke four languages, and played piano—all the privileges of an upper-class upbringing. Additionally, as the heiress of the Winchester fortune, she had “virtually unlimited” financial resources (Winchester Mystery House). “Upon her husband’s death she received several million dollars in cash and 777 shares of stock in the Winchester Repeating Arms Company,” and upon the death of her mother-in-law in 1897, she received another 2,000 shares, which meant she own a little under fifty percent of the company and made $1,000 a day (Winchester Mystery House). In the agricultural Santa Clara Valley (A.K.A. The Valley of Heart’s Delight), she wielded a lot of power and influence during a time when women were not even allowed to vote. Many of the stories of Sarah Winchester as an eccentric or as crazed or as an evil witch can be traced to the ways in which she traversed the borders between “acceptable” and “unacceptable” gendered societal roles and norms with impunity. To many, she was a threat because she could do whatever she wanted when she wanted with or without whoever she wanted. Barbara Creed writes, “the concept of a border is central to the construction of the monstrous… that which crosses or threatens to cross the border is abject” (71). The fact that she was a single (albeit widowed) woman that lived in the middle of nowhere in a large, strange house with an interest in the occult must have aided her legendary border-crossing status. In a time and place that depended on the free and unchallenged exploitation of women’s labor, Sarah Winchester, as an early feminist, must have seemed monstrous. Although it is impossible to truly separate the legend of Sarah Winchester from her supposedly haunted mansion, I want to focus on another monster within this folk story, which are the ghosts that cursed/haunted her and her family. Kendall R. Phillips writes, “memories of the past carry with them not only that strange juxtaposition of present and past but also bring an inherent sense of loss” (190). Sarah Winchester upon visiting the psychic in Boston was in a state of acute grief and was deeply feeling the loss of her daughter, husband, and father-in-law (and later her mother-in-law). Phillips continues stating that “the act of remembering is always an experience of the distance between where we are now and where we were then” (191). In trying to make meaning from her once idealistic life as a well-educated socialite to a currently widowed, childless woman, Winchester must have felt haunted by the past and by this separation between the past and present. Searching for a reason for her existence, she is alerted to the atrocities committed by the Winchester family through the manufacturing of the revolving rifle, and when confronted with this “past with all its pain, loss, grief, and crimes,” she reasons that building a house for the dead will reconcile the distance between the past and present and “from this reconciliation a new future can begin” (Phillips 194). Although Phillips is discussing ghostly presences in the film The Sixth Sense at the turn of the 20th century, his analysis highlights how “ghosts” are often acts/memories from the past that refuse to be forgotten or that demand to be remembered. The Winchester revolving rifle is referred to as “The Gun That Won the West” because of its primary usage by American settlers during the 19th century (Winchester Mystery House). During this time, “Manifest Destiny” was an ideological and religious discourse that supported the policies and practices of U.S. settler colonialism/imperialism of the North American continent (Delgado 452). This belief that White U.S. Americans were the chosen few to dominate the continent from the Atlantic ocean to the Pacific ocean validated the extermination of Native Americans, such as in the Sandy Creek Massacre and the infamous “Trail of Tears,” as well as wars with neighboring countries, such as the Mexican-American war (1846-1848). When the psychic in Boston referred to those murdered or killed by the Winchester rifle to Sarah Winchester, she was referring to the multitudes of Native Americans whose lives are the continued targets of structural racism and cultural/actual genocide. Given this historical fact, a view that Sarah Winchester was being haunted by the “Ghosts of Genocide” provides a lens for understanding the Winchester Mystery House as a story of White guilt. In this passage, you literally feel the anxiety and fear of Mrs. Winchester’s mind as she slips and slides through walls and up and down stairs trying to get rid of and run away from the Ghosts of Genocide. Additionally, the material space of the mansion or the architecture can be seen as the manifestation of Mrs. Winchester’s on-going, never-ending process of working through her own and family’s (continued) part in the history of U.S. colonization and imperialism via Manifest Destiny. 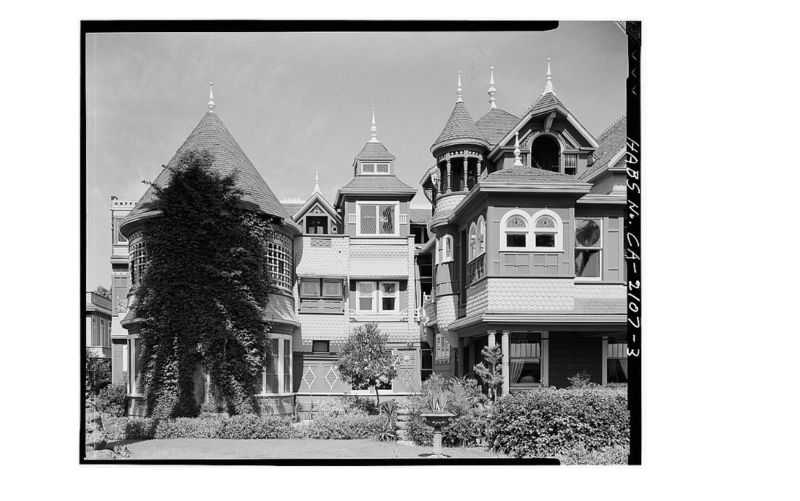 The continued telling and sharing of the Winchester Mystery House narrative serves as a device to remember the past and reconsolidate the present. In this essay, I argue that there are two monsters constructed in this folktale, and in the end, gender, race, and capitalism are themes that this narrative attempts to regulate and control. Whether considering the Legend of Sarah Winchester or the haunting myths of the Winchester Mystery House, this folk tale contains two monsters that reflect the fears and anxieties of U.S. society in the late 1800s to the early 1900s. In the case of Sarah Winchester, the myriad of stories and legends that decry her eccentricity, her crazed behavior, and her evil practices of sorcery serve as a warning for other women who may be independent thinkers or who may wish to have more agency over their lives. Additionally, the amount of money and time she spent on her mysterious mansion continues to warn anyone against the dangers of “waste.” Throughout my life, this story was never told to me to regulate my behavior as a male, but it served as a warning against wasting my time or money on projects/people/things that did not lead to some sort of progression. Progress, productive use of time, and the accumulation of wealth are all exclusive aspects of the capitalist system that continues to determine/dictate the policies, laws, and everyday life of U.S. Americans. The fact that the story of Sarah Winchester is still very well known to most natives of San José, CA and that it continues to be a popular ghost story is a testament to the power of folktales to organize society and culture. Further, the haunting of the Winchester Mystery House becomes its own monster. The motivation behind the mansions’ continuous 38-year construction was the deaths of those murdered and killed by the Winchester rifle. Many of those ghosts were Native Americans forced off their land and relocated to achieve the nightmare that was Manifest Destiny. These Ghosts of Genocide continue to weigh heavily on the American psyche and call into question the altruistic ideals of democracy and freedom that this country continues to claim around the world. These ghosts demand to be remembered, and through their haunting of the Winchester family, they refuse to be forgotten. Indeed, Sarah Winchester’s motivation for her home was fueled by the Specter of White Guilt, and the material space of the mansion becomes a physical manifestation of her inner struggle with so many deaths. The story of the Winchester Mystery House sheds light on a dark corner of American history and the blood price of greed. The ghosts warn us about the cost of rampant, unrestricted capitalism and racism. 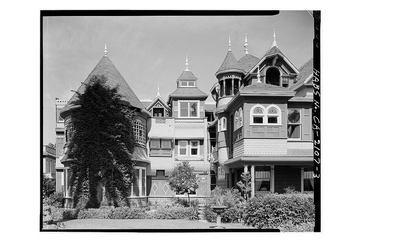 Whether telling or hearing the stories of Sarah Winchester and the Winchester Mystery House, these narratives provide an insight into a time and place in American history that as a local and as an academic I believe we should remember. We owe it to those haunting our cultural memories. Creed, Barbara. “Horror and the Monstrous-Feminine: An Imaginary Abjection.” Horror: The Film Reader. Ed. Mark Jancovich. London: Routledge, 2002. 67-76. Print. Delgado, Fernando P. “Chicano Movement Rhetoric: An Ideographic Interpretation.” Communication Quarterly 43.4 (1995): 446–455. Print. Duggins, Jim. The Possession of Sarah Winchester. Bloomington: AuthorHouse, 2011. Print. Ignoffo, Mary Jo. Captive of the Labyrinth: Sarah L. Winchester, Heiress to the Rifle Fortune. Columbia: University of Missouri (Reprint ed. ), 2012. Print. Phillips, Kendall R. Projected Fears: Horror Films and American Culture. Westport: Praeger Publishers, 2005. Print. Rambo, Ralph. Lady of Mystery (Sarah Winchester). San Jose: Rosicrucian Press, 1968. Print. Rule, Roger. Sarah. Bloomington: AuthorHouse, 2004. Print. Selby, Lisa L. The Inscrutable Mrs. Winchester and Her Mysterious Mansion. No Location? : PublishAmerica, 2006. Print. 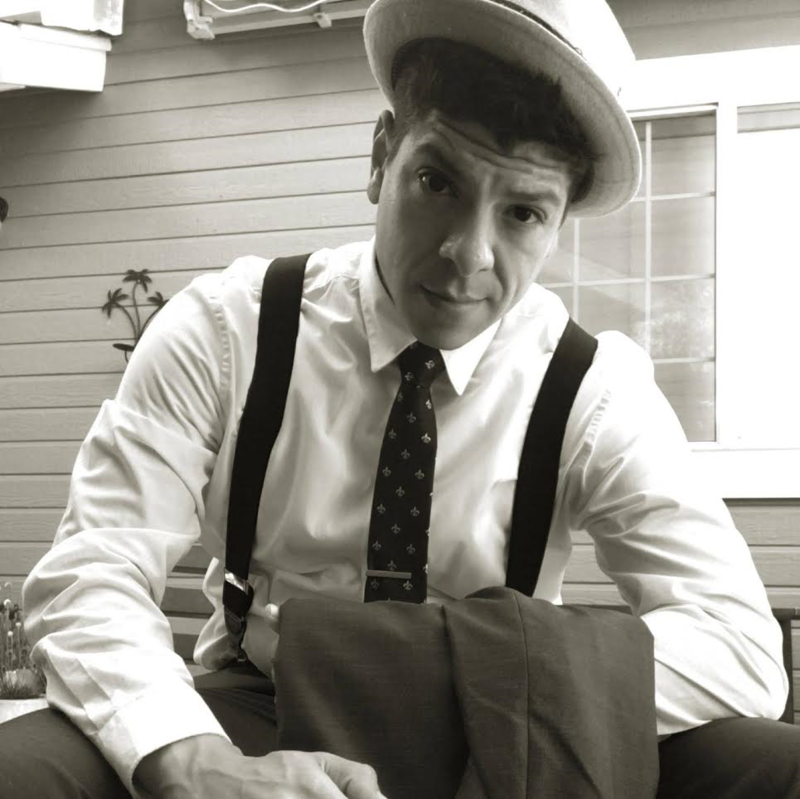 ROBERT GUTIERREZ-PEREZ is a queer of color scholar, activist, and performance artist from San José, CA who currently resides as an Assistant Professor of Culture and Communication at the University of Nevada, Reno. His research and life revolves around the goal of empowering, remembering, and advocating for queer people of color with a particular affinity towards the LGBTQ Chicanx and Latinx community. His work is published in academic journals, such as the Journal of International and Intercultural Communication, Liminalities: A Journal of Performance Studies, and QED: A Journal in GLBTQ Worldmaking, as well in several books on race, performance, queer theory, and critical/cultural studies.